In the recent times, the structured cabling have transitioned itself as an integral component to predominantly accommodate and transmit the seamless data transfer and hence enabling the entire IT network infrastructure to carry out certain critical functions in an enterprise organization. In this endeavor, the structured cabling services have predominantly become the backbone towards defining the success of an enterprise organization. In a typical organization, the structured cabling is instrumental in connecting across the numerous departments within the organization and have served the purpose of the employees with reference to their working on the workstations, connecting to the printers for certain handouts, faxes in order to fax their information, some critical documents which requires scanning of the same to name a few. If the structured cabling services is not aligned as per the standard methods, there are every chances that the organization to get into major havoc. 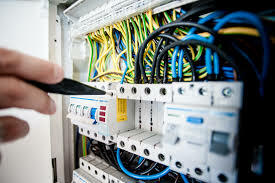 Structured cabling have undergone a massive transition towards the way they carry and transmit high bandwidth data transfer, with the rapid digitization; enterprise organization are in their threshold to have certain mission critical projects which requires the transmission high bandwidth data transfer. Towards this endeavor, the fiber optics or the fiber; one of the core component of the structured cabling have now is developed as a core component which is designed to sustain within themselves the higher bandwidth data transfer within them. In the recent times, some of the enterprise organizations do carry out certain mission critical projects which do involves the transmission of both data and voice together and it does accommodate higher bandwidth than the normal for the LAN connectivity. The structured cabling in the form of fiber optic cabling or the fiber network has been evolved itself in the consumer market which could easily combat the high-end bandwidth. VRS Technologies have been constantly innovating newer methodology with reference to the complete conceptualization of structured cabling and their varied implementations. We have been able to successfully deploy the structured cabling connectivity from the central servers to the data centers. In the event that your organization wants to have a structured cabling alignment to be implemented and deployed at your premises, please approach us at VRS Technologies. Please call us at 00971555182748 or 04-3866001. In the meantime, please visit our official website at www.vrscomputers.com for more information.